One of the downsides of Dramamine is that it can cause a great deal of drowsiness. While this can help make the child sleep through the trip, it can also have long lasting effects on their energy levels. This is something that parents should consider before giving it to their child. Along with medication, there are also special devices that can be worn on the wrists. These devices are said to offer a great amount of relief from motion sickness. They are popular because they offer a non-medicated option for children with motion sickness problems. There are also some over the counter supplements that can be helpful for children with motion sickness. Ginger is one of the best options available and is pretty effective when it comes to treating motion sickness. It is also something that can be taken for general nausea as well and is safe for many people. 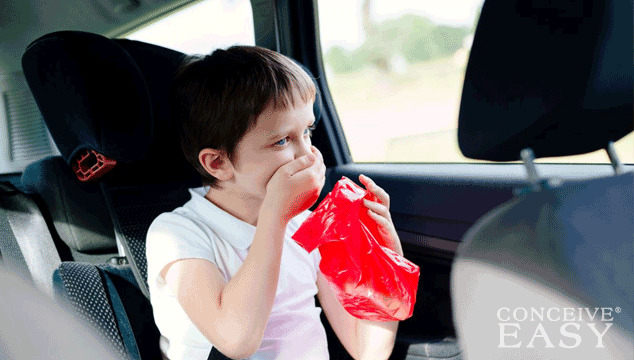 For best results, talk to your doctor about specific things that you can give your child for motion sickness.